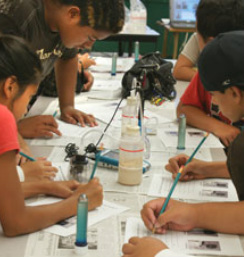 This activity is designed for patrons of the Birch Aquarium, however, it can easily be modified into a biology or chemistry lab for elementary or middle school students. The basic design is to test which liquids cause the greatest reaction with baking soda, (Sodium Bicarbonate) as a proxy for calcium carbonate. The principle is to convey that as we increase atmospheric C02, the ocean absorbs a great deal of it, thereby becoming acidic and making it difficult for organisms to grow calcium carbonate shells. There are detailed set-up instructions, guided questions for discussion, reflection and results. NOAA's site is once again an incredible resource for educators. 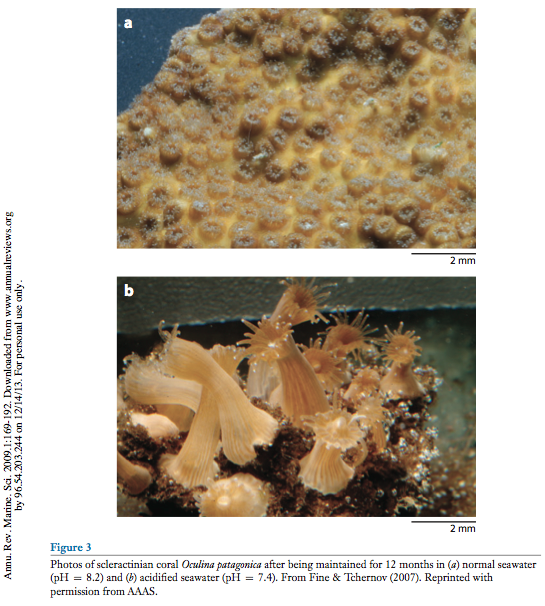 It contains ocean acidification visualizations, short videos and links to university lectures. -this is also a good resource for upper level educators with video lectures with their associated powerpoint presentations available for download. This is a great resource with 2 labs designed for high school level chemistry. If your class is studying pH this is a great introduction. -The first lab teaches you how to make red cabbage pH indicator and then test out various liquids to determine their relative pH. -The second lab is called "Ocean Acidification in a cup"
-There is a cool demonstration called "I’m melting! Seashells in acid"
-There are national science education standards supported by this kit for Levels 5-8 and 9-12. -The labs and demo contain full equipment and set up for teachers as well as worksheets. -There is an answer key for teachers and a list of additional resources. This resource contains a cool animated powerpoint presentation that would be great for high school biology students. It also contains an interactive online lab in which students culture calcifying marine organisms (sea urchin larvae) in different pH conditions and measure their growth rates. The lab seems a little bit forced, but if you have a high level group of students with a day in the computer lab this is a pretty cool activity that introduces advanced lab techniques without the mess. 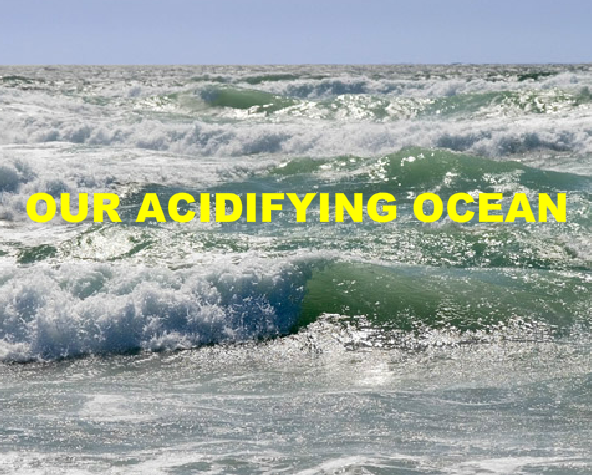 "This two-lesson kit familiarizes students with the causes and consequences of ocean acidification: the process by which our ocean is becoming increasingly acidic. Lesson 1 includes a simple hands-on experiment, a short PowerPoint, and optional readings with worksheets. In Lesson 2, students conduct a more in-depth experiment with electronic probes to simulate the process of ocean acidification. A pre- and post- survey is included. Each lesson will require approximately an hour." The first lesson includes a simple hands-on experiment (compare chemical reaction of coral sand and silica sand), a short narrated PowerPoint presentation, and a press release with an accompanying worksheet. In Lesson 2, students conduct a more in-depth experiment with electronic probes to simulate the process of ocean acidification. Each lesson requires approximately an hour. Teachers located in the following areas can borrow science kits containing all materials and supplies free of charge: Hawaii, Oregon (Newport), California (Monterey Bay), and Massachusetts (Woods Hole) just follow the link!